The new Star Wars film will be made in the United Kingdom, Lucasfilm announced on Friday. Episode VII of the iconic franchise is due to begin production next year under the stewardship of Disney, with plans for a cinematic release in 2015. All six films to date, including Episode IV: A New Hope in 1976, have utilised studio locations in Elstree, Shepperton, Leavesden and, of course, Pinewood Studios. The company said it had sought inspiration for the new film, which will be directed by Star Trek's J.J. Abrams, by revisiting the origins of the Star Wars series and the result is a return to Blighty. In a statement, Kathleen Kennedy, president of Lucasfilm said: "We've devoted serious time and attention to revisiting the origins of Star Wars as inspiration for our process on the new movie, and I'm thrilled that returning to the UK for production and utilising the incredible talent there can be a part of that." "Speaking from my own longstanding connection to the UK with films like Raiders of the Lost Ark, Empire of the Sun and recently War Horse, it's very exciting to be heading back." The news was broken on Friday by Chancellor Palpetine, sorry, George Osborne on Friday who negotiated tax breaks for the film's production to come back to the UK. 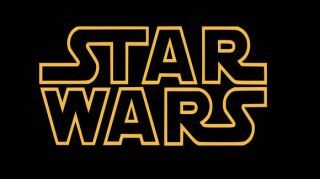 He tweeted: "Just confirmed: the next Star Wars film will be made in UK. Great news for our creative industries. May the force be with us … "
So where do we all sign up to become extras?